One of the main sources of confusion for clients, their families, our business synergy partners, and even other lawyers, is how the iPug™ trust differs from "traditional" irrevocable and revocable trusts. In order to help clients make the best decision about what is right for them, we need to educate. However, in a busy law practice, it is sometimes impractical, maybe even impossible, to fully educate everyone, especially if there are adult children or other busy professionals involved. Lawyers With Purpose Member, Nicole Whipp, is a practicing attorney in Southeast Michigan. Her firm, Family & Aging Law Center, has three offices that serve five counties in the metropolitan Detroit area. Nicole is a self-proclaimed "serial entrepreneur" and passionate marketer, and is always working to use her marketing to educate about the benefits of elder-centric estate planning. She has created Smart Planning 101 (content is not confined to state-specific law). It covers topics that generally affect what "older Americans" and their families may face. She has created a resource for you that will boost your efforts in educating others about the benefits of iPug trusts (especially if someone says, "Where can I go to find out more about this?"). Recently, Nicole Wipp interviewed Dave Zumpano on her podcast, "Smart Planning 101." In the course of two episodes, Dave thoroughly explains the fundamental differences between the various types of trusts and how the iPug fits into a complete estate plan. Even better, he does it using easy-to-understand language. The interview and explanation is geared toward the layperson, but that doesn't mean it isn't beneficial to a lawyer. Whether you choose to have clients listen to it on their own time, or you use it to gain insights into how to convey the message in a way that is easy to understand, Dave is there – and even better, on demand! Our Medicaid qualification worksheet is by far the most advanced in the industry and our Medicaid qualification software is the only software in the entire industry that helps you properly calculate Medicaid eligibility for any type of client. Not only does it help you identify the maximum amount of assets that can be protected in the shortest period of time, it helps you present it to the client in a methodology they can understand and you can be confident you can achieve. Click the video below and watch a short presentation on exactly how the Medicaid Qualifiction Worksheet Module in the LWP-CCS works. By use of the Medicaid qualification software, you are able to provide not only clients, but also your referral sources, detailed opinion letters on the asset protection and Medicaid planning strategies you can utilize to get each client qualified in the soonest possible time, protecting the maximum amount of assets based on an individual fact pattern. More importantly, it also calculates the asset risk analysis and the funding road map to ensure the funding is done in a timely and effective manner. Most recent editions include an IRA liquidation analysis and annuity versus trust planning analysis. An IRA liquidation analysis, which actually calculates the point in time in which it would have been more advantageous to liquidate the IRA and pay the tax, rather than annuitizing and taking the RMD. Another recent edition includes the annuity versus trust planning analysis which helps identify the exact amount of money needed to go into an annuity, and when it would be more effective for the client for a trust plan to be utilized. There is no other software in the industry or even training that provides this information and knowledge. And at Lawyers With Purpose, it's at your fingertips any time you'd like it, in real time. I have been providing this Medicaid expertise to the national industry since 2001 and have introduced it to at least three different national estate planning legal organizations including the National Network of Estate Planning Attorneys, Wealth Council, and the American Academy of Estate Planning Attorneys. Bringing this knowledge into tools and systems to help estate and elder law attorney know they are not missing anything and getting the best possible result in their practice is something I enjoy brining to Lawyers With Purpose members. IRA Marketing Packet: Login Or Order Today! On Tuesday, June 24th Dave hosted a LIVE Lunch & Learn for all of the LWP members, all of his financial professionals, and the general estate planning industry at large titled: IRA's Not Protected The Supreme Court Rules. E‑blast to send to your referral sources. The Power Point presentation to deliver to your advisors. The recording of the live presentation to see how Dave presented it. A complete evaluation that will be a call to act to those in attendance of the program. An understanding of the key holdings of the recent Supreme Court decision. Learn the asset protection strategies available for inherited IRAs. Know the four requirements for trusts to qualify to own IRAs without causing taxation. Discover the "inside" and "outside" planning strategies we have used for years to protect inherited IRAs and provide clients with the maximum number of options at death to avoid the loss of an IRA to creditors and long-term care costs. To locate the packet, login to the member site, hover over the “Marketing” tab and choose the “Professional Presentations” folder. Scroll down to the folder titled “IRA's Not Protected The Supreme Court Rules” and you will find the materials along with the video. One of the most unique and powerful elements of the entire Lawyers of Purpose™ Law Practice Model is our industry busting document creation software. What makes it industry busting? It's a whole new dimension to provide competent legal documents. But what makes it unique is that it's not just software, it's a culmination of the estate planning experience for the client. 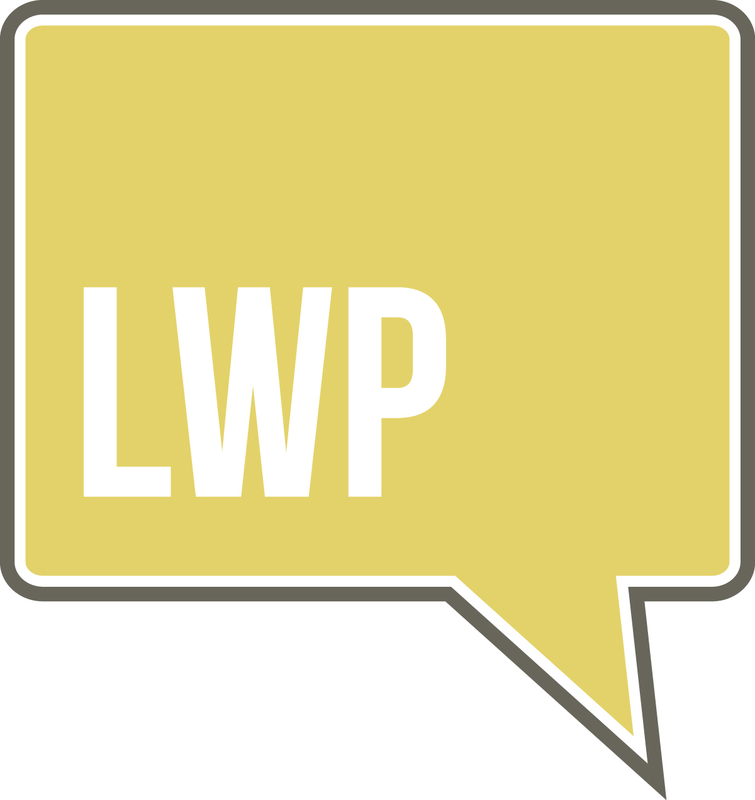 The name says it all, "Lawyers with Purpose, Client-Centered Software" (aka LWP-CCS). It is unparalleled in the industry, because unlike typical legal software, this software is based wholly on the needs of the client. In fact, the needs of the client are clearly identified in the initial meeting when they hire you. The process we use to help them identify the plan solves the need the client has expressed. It starts all the way back at the workshop where we educate them. It then carries into the initial meeting where they hire us and then into the design meeting where a detailed design template is utilized. This helps to walk the client through their life, while they are alive and well, when they become disabled, when they die, when their spouse becomes disabled or dies, and even when their assets pass to their children and what happens if they become divorced, die, disabled, or have creditors or predators pursue them. The other industry busting element of this software is that it is a single entry system. This means that a single interview based on the design will generate all documents (wills, healthcare proxies, powers of attorneys, revocable trusts, and irrevocable trusts) all based on a single entry. More importantly, as you go through the interview, the software will warn you if you pick choices throughout it that are inconsistent or could lead to potential malpractice. You are protected at every angle and that's not all. In addition to these protections and industry busting standards, it is also the most customizable software in the industry. It permits dozens of sub-trusts, trustee appointment for each sub trust, different distribution standards for classes of trusts, stand-alone sub trust and even has an element of artificial intelligence to create results that you as the attorney, once trained, are absolutely confident not only in what you are doing, but anyone in your office that is supporting you in this role will be doing competently and confidently. Another unique offering of the software is its comprehensiveness. Not only does it provide wills, healthcare proxies, and powers of attorney, but it's our industry exclusive personal needs plan, IPug™ trust, completed gift trust, and Medicaid qualification software. Come see the next generation of document creation. Click here (or below) to watch a short video (less than 2 min!) about what's included in the LWP-CCS. As many of you learned at our last Member Tri-Annual Retreat the U.S. Supreme Court in Clark v. Rameker ruled that inherited IRAs are not "retirement accounts" for purposes of protection from creditors and predators. While this shocked many in the industry, it has been the position we have held and trained all of our Lawyers With Purpose Members for the last ten years! So what does this mean to us as practitioners? Actually, it validates our planning strategy and creates an incredible marketing opportunity for us to go back to our clients and those clients of other attorneys who have not been kept abreast of this very important topic. It's also a wake-up call to those of you in LWP who do not stay as "active" as capable to stay aware of these things which we regularly talk about on the Live ListServ, and at our Member Tri-Annual Retreat. The good news is, Lawyers With Purpose is swift and the first national organization addressing it - and we will be TOMORROW. As a side note, at the last Member Tri-Annual Retreat I lead an entire focus session reviewing all the reasons for naming the trust the beneficiary of IRAs. What was amazing was I indicated in that program, that we were expecting a decision from the U.S. Supreme Court "any day." Little did we know it would be the very next day. The powerful parts for those "in the room" is that they are now properly prepared and ready to address this issue and they have a full understanding of the "inside" and "outside" strategies utilizing trusts for IRA protection. The Weight Of The World ... Or Opportunity? After being gone from my daily yoga practice for 1 week while in Chicago at the LWP Tri-Annual Retreat I eagerly returned to my 5:45 a.m. Monday morning practice, exhausted after getting on average of 5 hours of sleep a night. As I shuffled into the studio, squawking about how tired I was our teacher began our 102 degree practice with the above quote. Needless to say, my attitude shifted. Quickly, intensely. The entire class was about how we perceive all the “stuff” that happens to us, day in and day out. It brought me immediately back to and thinking about the 40 national law firms that shut down their practices, team in tow, for 3 solid BUSINESS days, like they do Tri-Annually, to work ON their businesses and lives. The themes swirling through the room; we are lean and mean, were a team of interdependence versus codependency, less is more, intentional focus, short term suffering, eyes wide open. And firms were sharing they had their best quarter EVER…after going from a team of 7 to 3. Or, going on our 9th Client Services Coordinator, but that’s o.k., not tolerating anything but superstar status! The honest, vulnerable sharing about life isn’t always about hugs & cookies but its what you choose to see when it feels like bread and water….for a blink of a moment. Until you can anchor yourself to what you know to be true. When they got over the tragedy of their worlds crashing down they anchored to the skills and tools they need to have a 2mm shift, and recourse. The Money Plan, job descriptions, time templates, whose doing what to reach goal, The Revenue focuser. They knew for those that were having to double up on roles, there were the Tri-Annual Retreat Focus Sessions waiting for them right outside the door on, Marketing, Client Services, What’s Happening Behind the Conference Room Doors, Medicaid and VA Qualification and Application, IPugs vs. LLCs, How to Plan With IRAs, Communication Skills, Power In Partnership, Annual Client Maintenance Program, How To Have An Empowered Team, Getting Financial Advisors To Do Their Homework, Client & Financial Advisory Boards, Becoming 360 - personal development coaching day, your future focuser...and so, so much more. All right at their fingertips. Like a strategically placed safety net. And the coolest part is that every single firm that shared their weight of the worlds/opportunities over the past four months did it all on their own. They hunkered down and regrouped. I have to admit, there was a small part of me that felt irrelevant. Off they go. What shows up in your world is solely based on your perspective of what is “happening” to you. Do you see the challenges you face as a business owner (and human) like carrying the weight of the world or endless opportunities? It may sound “hokey” but there is no mistake that you open up any periodical, social media application and/or blog and there is a universal shift around “you manifest what you think.” You keep telling yourself that carrying the weight of the world “comes with the territory” you will continue to attract big monster cinder blocks of “troubles” to carry around versus “there is a lesson in this and I am grateful that I am open to discovering it. I need not only make the best of it but make the better of it. What do I need to do first?” See the difference? The Weight of the World…or opportunity? Molly L. Hall, Co-Founder, Lawyers with Purpose, LLC, and author of Don’t Be a Yes Chick: How to Stop Babysitting Your Boss, Transform Your Job and Work with a Dream Team Without Losing Your Sanity or Your Spirit in the Process. For the past two years you’ve been keeping your allied professionals and clients advised on the controversy between Federal district courts on whether an inherited IRA is protected from bankruptcy and other predators. For the past ten years, Lawyers With Purpose has taken the position inherited IRAs are not protected and have planned for their clients accordingly. On Friday, June 13th, the U.S. Supreme Court in Clark v. Ramiker ruled inherited IRAs are not retirement accounts for purposes of protection from bankruptcy and general creditors. We are excited to bring to the LWP community a LIVE GoToWebinar of Dave presenting a live Lunch & Learn to his allied professionals on what the U.S. Supreme Court has ruled on Tuesday, June 24th at 12:00pm EDT. While many are surprised by the Supreme Court’s ruling, we believe working with well qualified, forward thinking estate planning attorneys, like you, is essential for your clients to protect their most valued asset. Now let’s let your community and allied professionals know, and showing up for the GoToWebinar will get you the information you need to know to start that conversation. Join us on Tuesday, June 24th at 12:00pm live via GoToWebinar. Click here to register now! We hope you can join us! Tiffany Brown, Vice President of DocuBank, again join the Lawyers With Purpose blog as a guest and shares her perspective of how the administrative part of running a practice can be daunting. Whenever you find something that builds value AND is simple to set up, it’s a win-win. Thanks to some clever programming on the part of Lawyers with Purpose, getting started with DocuBank is one such winning proposition. The DocuBank service is a value-added benefit for both your clients and your firm but it’s also one other very important thing – easy. The DocuBank enrollment form is built right into the Lawyers with Purpose software so that your clients simply sign the form during the signing meeting and your staff then sends it along with the documents to establish their membership. Any information not supplied by the software can always be added by the client at a later date. Getting started with DocuBank is easy. We have been working with attorneys for more than two decades to establish and comprehensive turnkey process. Having the software integration as part of the DocuBank and Lawyers with Purpose partnership means that the DocuBank solution is even easier for you to implement. The discounted rates available to you through Lawyers with Purpose mean that adding DocuBank memberships to the service you provide for your clients is also affordable. Click here to find out more about DocuBank. Click here to find out more about how DocuBank can be a great value-added tool for your firm and your clients. If you've been following our series about marketing to nursing homes, then we're glad to see you back for the third post in the series. If you missed the first two parts you can find Part 1 here, and Part 2 here. In this post we'll tackle the question of talking price. If you get your foot in the door with the administrator, is that the time to share your fee schedule, or do you risk your contact making a hasty value judgment on the costs? Bottom line, you have to prove the value of what you're offering first. Then when they ask - and they WILL - let them know your fee. The cost is one month of nursing home care to protect the house. Again, let them know the value first. They aren't just looking out for themselves, they're protecting their residents. So, a lot of times, the business office will be your biggest ally when it comes to cost. You let them know your fee, and the business office is probably thinking, “Yes, I do this myself and it’s worth it to have you do it.” So be straightforward about it, because they’re going to ask you. If you’re not willing to share that info or you kind of beat around the bush, you won't gain their trust and they might not be comfortable sending clients to you. Tell the business office that it’s usually one to two months of nursing home costs, according to how complicated the process is. When you put it in those terms, the business manager relates the numbers to their fee, as well. You might not nail down exact figures, but it helps if you ballpark it to what their dollar figure is, what they’re charging their clients. Check back here soon for more on nursing home marketing. In a nutshell, Coaching, Consulting & Implementation (CC&I) is the coach drawing information “out” while the consultant puts information “in” and the implementation unites everything into a systemized, bite-sized, one small step-at-a-time achievable path and plan. Coaching – Coaching is all about unlocking our members’ potential to maximize their own performance. It is about guiding members to a place of self-directed learning rather than teaching. Power in Partnership™ is collaboration between the coach and an individual and/or team that support the achievement of extra-ordinary results. Coaching is about guiding members to set realistic, reachable and quantifiable goals that help a team move forward into action. As coaches, we are companions who walk alongside our members through their explorative journey. Consulting – Consultants analyze data and advise members of best practices to help them make the best possible choices. Consulting is about teaching and evaluating strategic plans to help members meet their “Money Plan” goals. As consultants, we provide information-based expertise while showing you the “what,” “where,” “when,” “how” and “why” supported by tracking and measurement. Implementation – Implementation focuses specifically on supporting members through teaching and the implementation of LWP Systems and Processes into their practices. Implementation always anchors back to the LWP tools and demonstrates how the processes intertwine and support each other. Every journey begins with a destination in mind. Whether your goal is to create an efficient and profitable practice, a purpose-driven practice that has a lasting impact on your community, or a saleable practice that leaves a legacy for your family, CC & I provides controlled growth, increases revenue and creates practice efficiency that helps reduce costs, improve operating margins and creates consistent cash flow. Be (Coaching) + Do (Consulting) + Have (Implementation) = A practice with purpose…a Lawyer with Purpose.